Signs posted at a Capital One bank at Columbia Pike after a robbery. 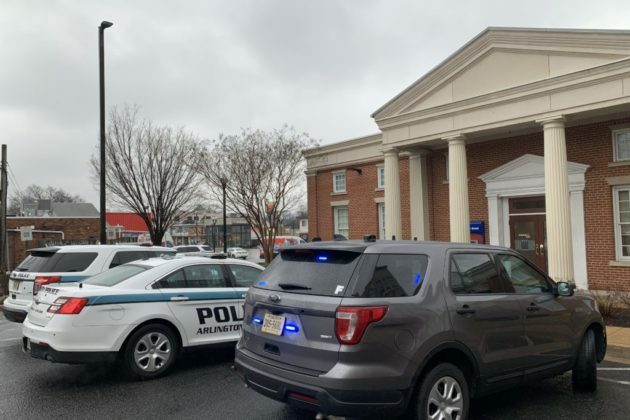 Arlington County Police are on scene of a reported bank robbery on Columbia Pike. The robbery happened around 2:15 p.m. 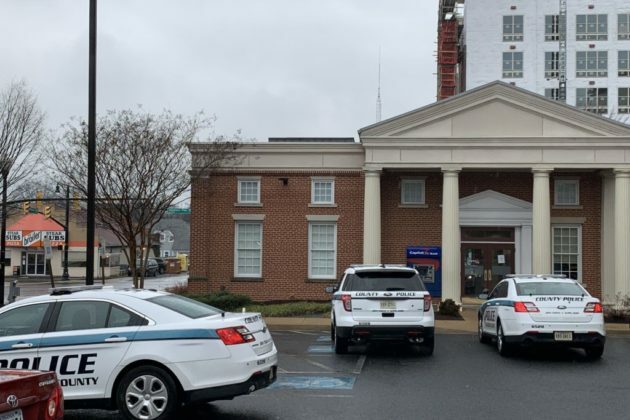 Initial reports suggest that a masked man armed with a gun passed a note to a teller inside the Capital One Bank branch at 3532 Columbia Pike. Afterward he fled on foot. The suspect is described as a black male between 5’9″ and 5’10” in height. He was reportedly wearing a yellow construction helmet and vest, a blue surgical mask, black sunglasses, a black hoodie and black pants. 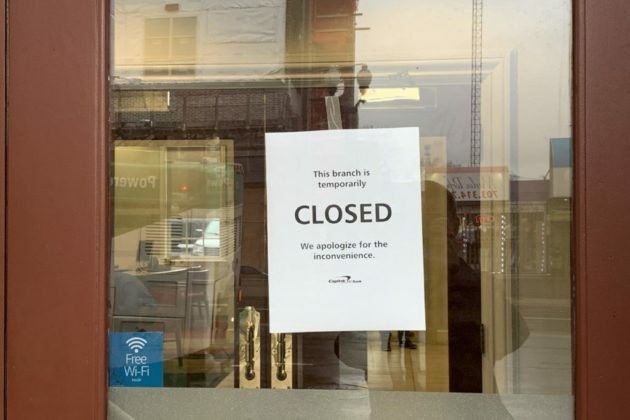 The bank branch is set to close this spring.